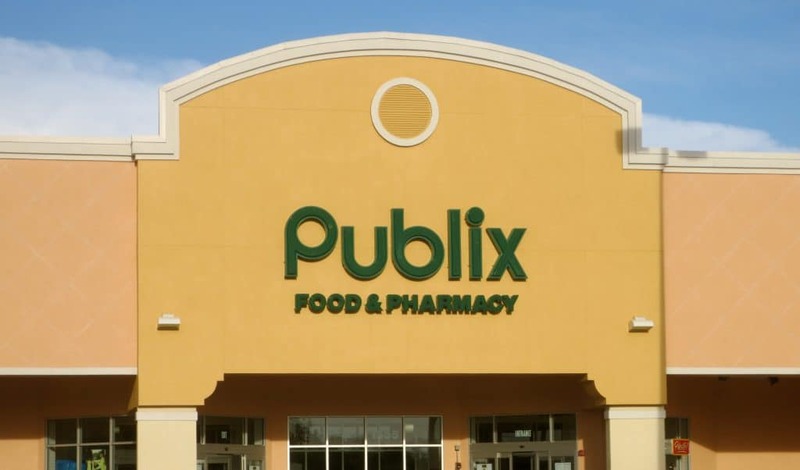 20 Publix Products You Should Have in Your Stockpile! Publix is one of my favorite stores to shop at. They’re very coupon friendly, the customer service is great and it’s easy to bring back coupons if you forgot them or run into an unexpected deal. I have a small stockpile at home and I like to keep at least 3-5 of each of these items on hand. Certain items go on sale more frequently than others. Silk milk usually goes on sale once a month, so I buy 2 each sale cycle and it lasts me until the next sale. 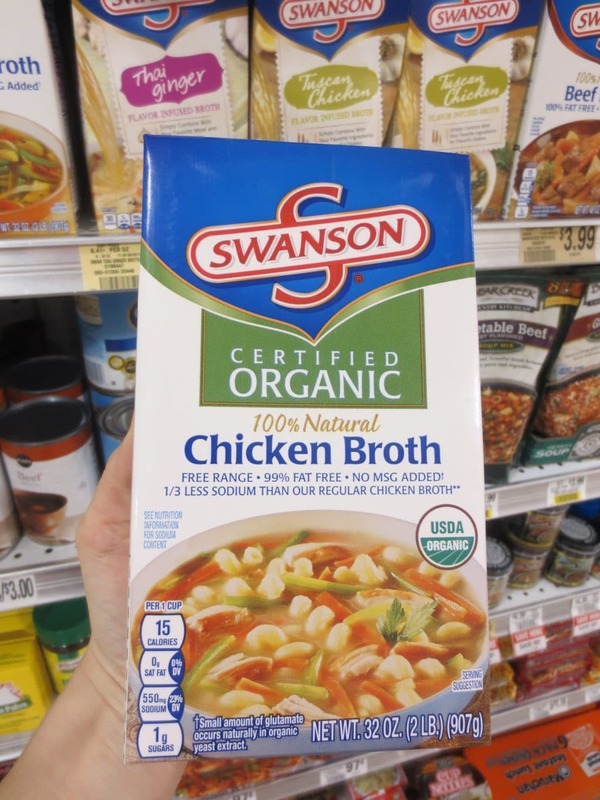 Some items, like organic chicken broth go on sale less often. When it does go on sale and I have a coupon, I will stock up and buy 8 (Publix limit) and store them in my stockpile. I’ve compiled a list of my favorite items to stock up on at Publix. All of these items routinely gone on sale every few months at Publix. I only know this because that’s why I tried most of them in the first place! Ha! Also, they usually have a coupon to go along with the sale price. I love avocados, I eat one almost every day. I put them in salads, sandwiches, spread on toast, mixed in eggs, toppings for tacos, soups, smoothies, dip, I could go on and on. So, I get really excited when this guacamole goes on sale! It’s delicious and good for you, lots of healthy fats. I also like that it’s non-GMO. The only problem is that regular price is $3.99. Yikes. 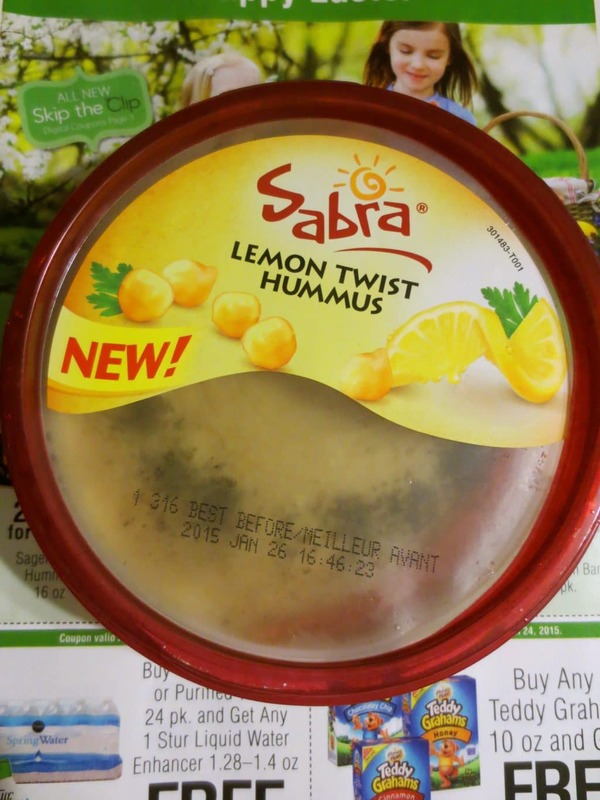 The past few times it has gone on sale, its been BOGO and a sabra pdf coupon for $1/1 has been available. I don’t know if it’s coincidence or on purpose, but I don’t care! I’ll take it however I can get it! So, with the BOGO and the coupon, it ends up being $1 each. I buy as many as I can at that price. It’s pretty much the same as buying a avocado for $1, except the work is already done for you! Score. I don’t drink regular dairy milk, so this is a great substitute for me. I use it in any recipe that calls for milk. I also use it in all of my smoothies. 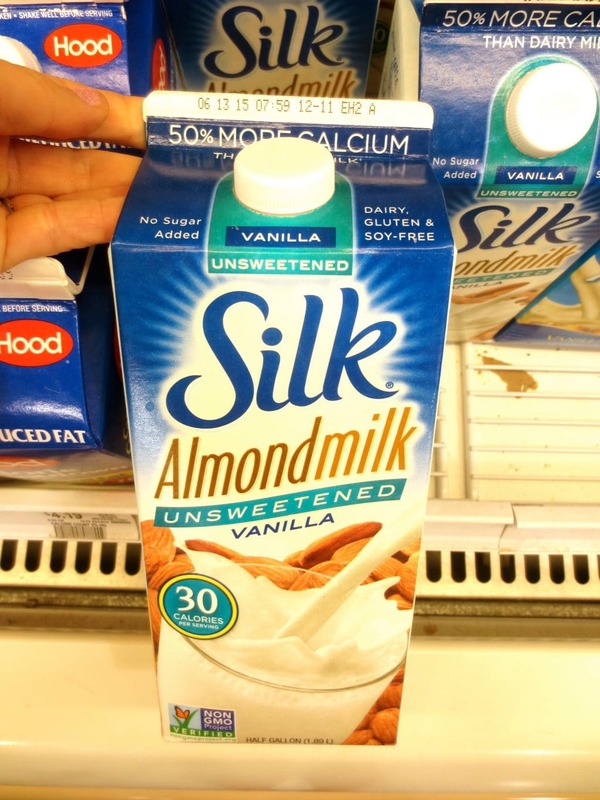 Silk milk goes on sale almost every month, so I will buy 2 cartons at a time to last us until the next sale. The regular price is $3.45, after a sale and coupons I usually pay $1.50 – $1.75. They also have Silk cashew milk, coconut milk and dark chocolate milk, yum. I’ve tried and like them all! These crackers are so tasty! I eat them plain or dipped in hummus or guacamole. They were just on sale last week at Publix, so I stocked up. They’re usually $3.50, but if you can wait until they go BOGO and a have coupon to stack with the sale, do it! Last week, I used $1.50/2, plus BOGO, so they were $1 each. I’d say that’s a stock up price! I bought six bags, two bags have already been inhaled by my fiance. These tomatoes are really good quality and have great flavor. 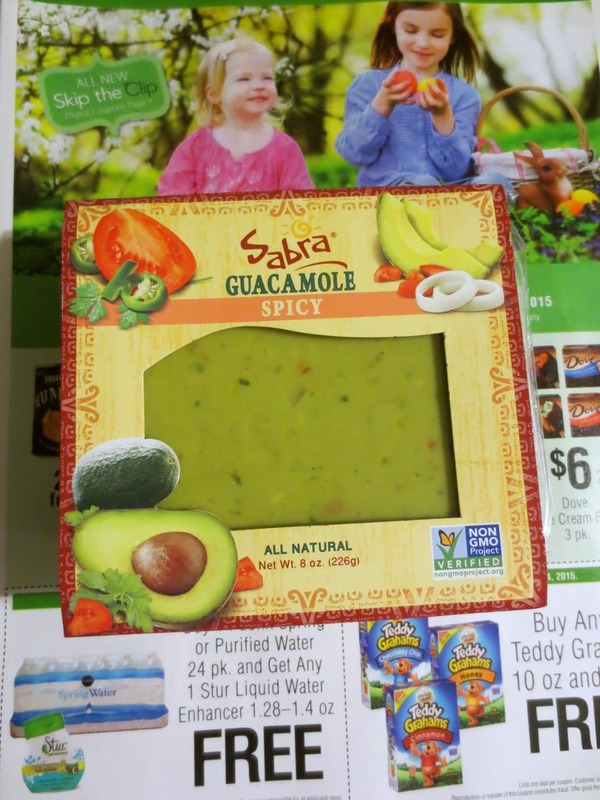 Perfect to put in the crock pot, add to sauce or mix into that Sabra guacamole we talked about earlier! I’ve also tried the fire-roasted tomatoes, yum. They don’t go on sale too often, so, try to stock up if you see a sale! They will last quite a while in the cupboard. Make sure you check the date on the can and get the latest one, don’t just grab the first one. They usually put the oldest in the front, for the Joe schmo who isn’t paying attention to just grab and go. Oh, and don’t get any cans that have dents in them either. This is what I use for creamer in my coffee. 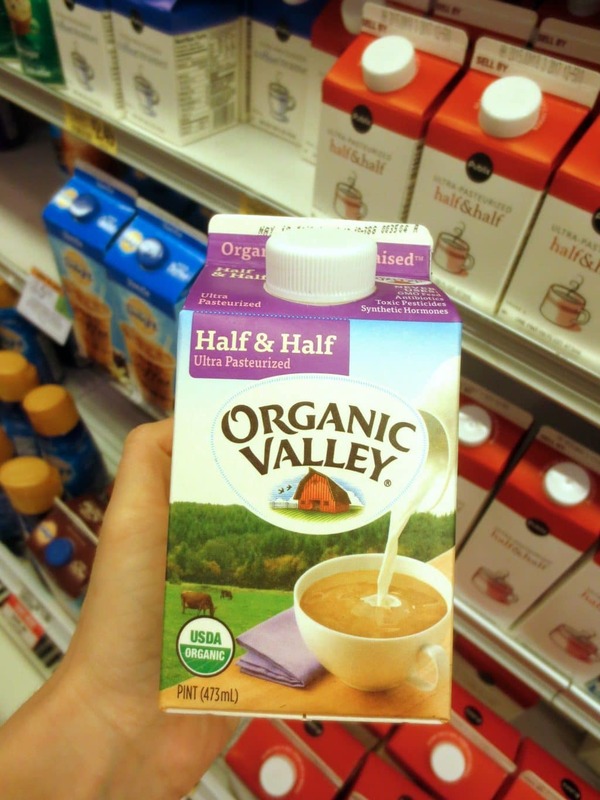 Skip the flavored coffee creamers that are loaded with chemicals and just add a little half and half. I have yet to see this go on sale but it’s one of the items that I do pay full price for, it’s that good. Sometimes I get lucky and have a $.50 coupon, but not always. Anyways, I don’t think $2.29 is too expensive for creamer that will last me the whole month! I could easily spend more than that on one drink at Starbucks. Am I right?? 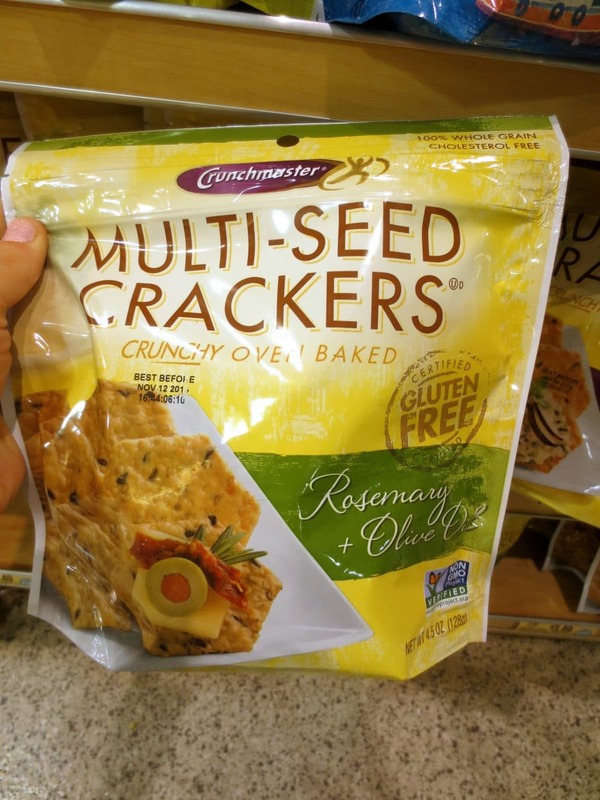 I usually stay away from processed foods and anything that says “all natural” but these are really good and the ingredients aren’t bad at all. I like that the chicken is raw, not already cooked and frozen. Also, no hormones, preservatives or nitrates. Some nights you just need a quick dinner to pop in the oven and be ready in 40 minutes. Make a quick veggie for a side and your done! The spinach filling is my favorite but the broccoli cheese is good too. I stock up on these when they go on sale 2/$7. Sandra’s website almost always has a $1/1 coupon available, at least the past couple sales they did. $2.50 for a quick dinner is a great deal! 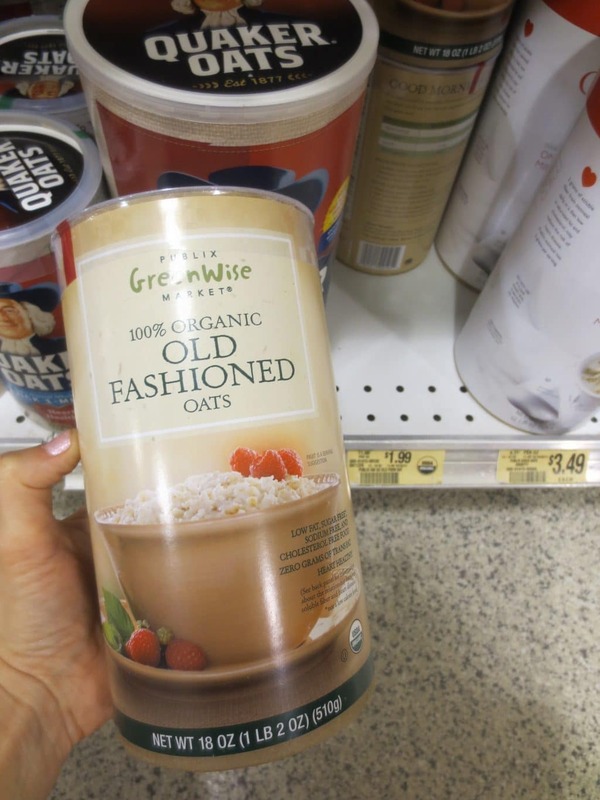 For awhile, Trader Joe’s had the lowest priced organic oats. My Publix just started carrying them, so I was pretty excited. I use them to make oatmeal, cookies, muffins, bread, and granola bars. I go through them like crazy! I haven’t seen any sales yet or coupons but $1.99 is a great price for a big container like this, I’ll take it! Hummus is a tasty and a healthy snack! Ok, I know the label says best before January 26 but that’s because I froze this months ago! Hummus freezes really well because the chick peas have a very low water content. They go BOGO @ $3.99 every few months but sometimes we get lucky and have a $1/1 coupon to match the sale. $1 for a tub of hummus is definitely a stock up price for me. The cashiers probably call me the crazy hummus lady because I buy so much when I have a coupon to stack. I think I have about 20 in the freezer right now. We go through them really fast. I love to bake my own bread, but I try to keep this in my freezer for emergencies. It’s really good, especially toasted, avocado smeared over the top, and a sprinkle of pepper and cayenne. Its $5.29 at publix but I’ll buy it now because they have a $1.50/2 coupon in one of the coupon booklets so it’s about the same price as Trader Joe’s ($4.29). It just depends what store I can get to first. 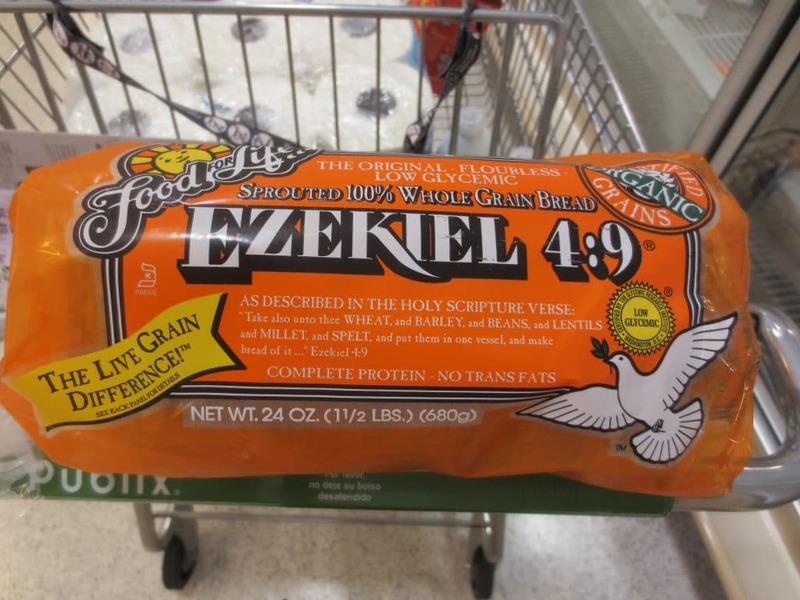 This bread is packed with protein, fiber and good ingredients, definitely give it a try if you want to get away from the chemical loaves they sell on aisle 3. I must warn you, these are seriously addicting. You don’t even have to dip them in anything, they’re so yummy. The salsa fresco and sweet chile are my 2 favorite flavors. 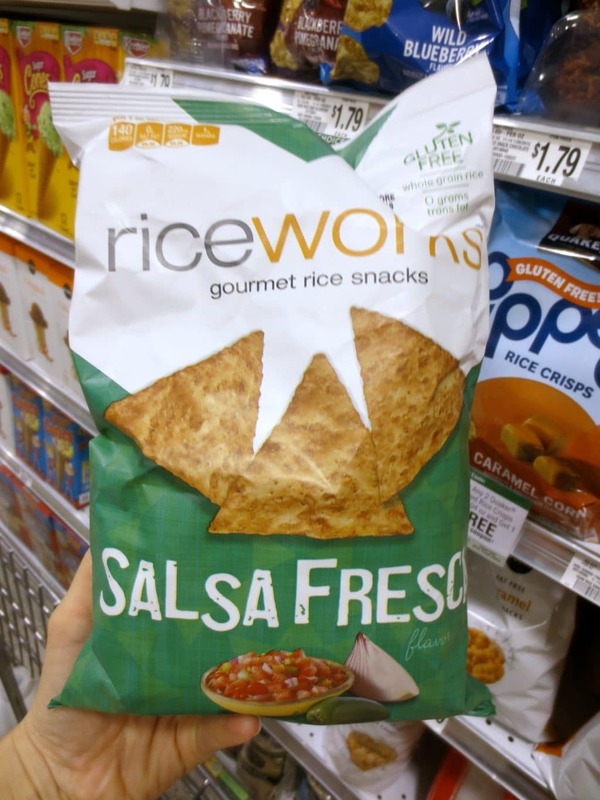 They definitely don’t taste like rice crackers, that’s why I call them rice chips. Ha. I like to think of them as healthy Doritos. They went on sale a few times this year, each time the sale price was 2/$2.89 and I had $1/1 coupon. You can’t beat $.44 a bag. Let me repeat that for you, $.44 per bag!!!! That is a phenomenal stock up price for a snack item. As I said before, I really do cook healthy dinners almost every night but sometimes you just need a quick dinner! 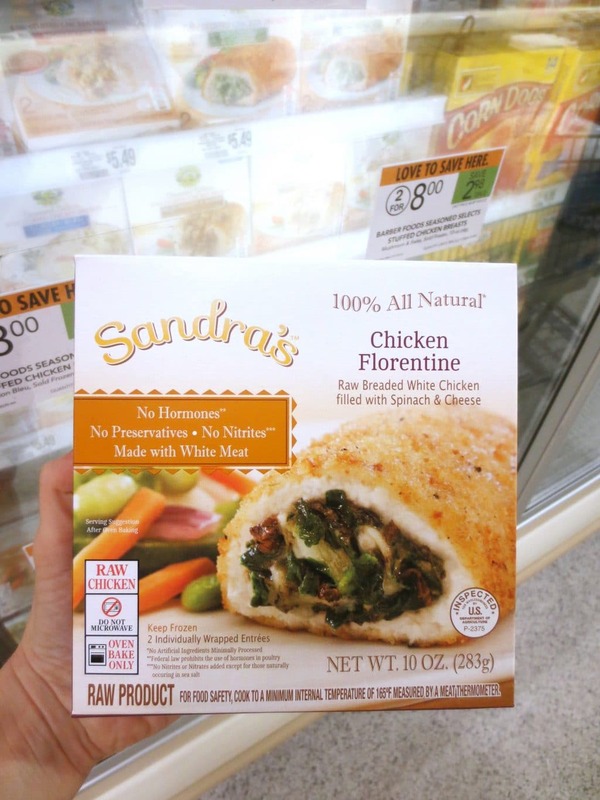 This is one of my go-to fast frozen dinner ideas. I only get the lasagna variety because its a large portion and I can almost stretch it into dinner for 2 people for 2 nights! I make a big salad and saute some veggies with it, dinner is on the table in 1 hour. You won’t believe me when I tell you my stock up price, its just too low. 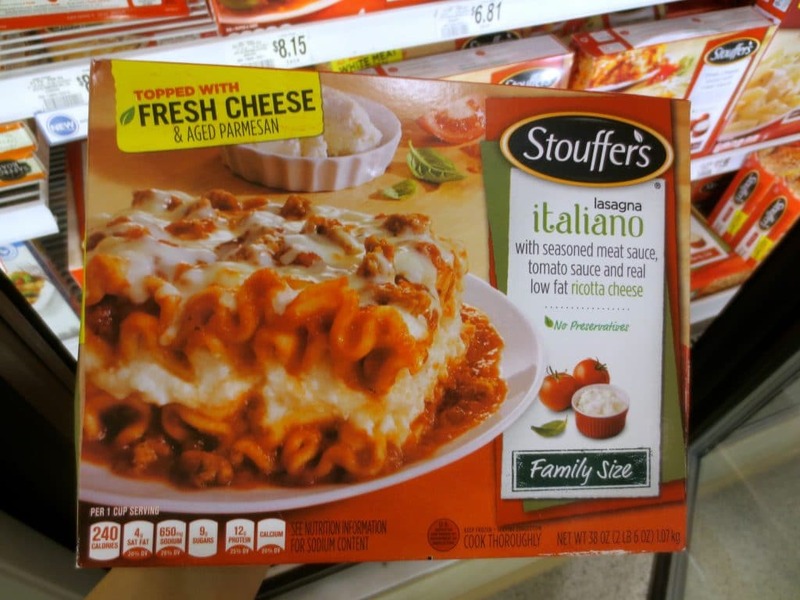 These family size dinners are usually $7.99! I wait until they go on sale for $4.99 and I have a manufacturer coupon AND and target coupon to stack! Are you ready for it?? I bought 4 today because that perfect scenario that I just mentioned is going on this week at Publix. I had $1.25 Target coupon to stack with $1.50 Manufacturer coupon in addition to the $4.99 sale price. $2.24 is all I paid for each large, family size dinner! Ah-may-zing deal. So, make sure you wait for this deal to roll around before you stock up! 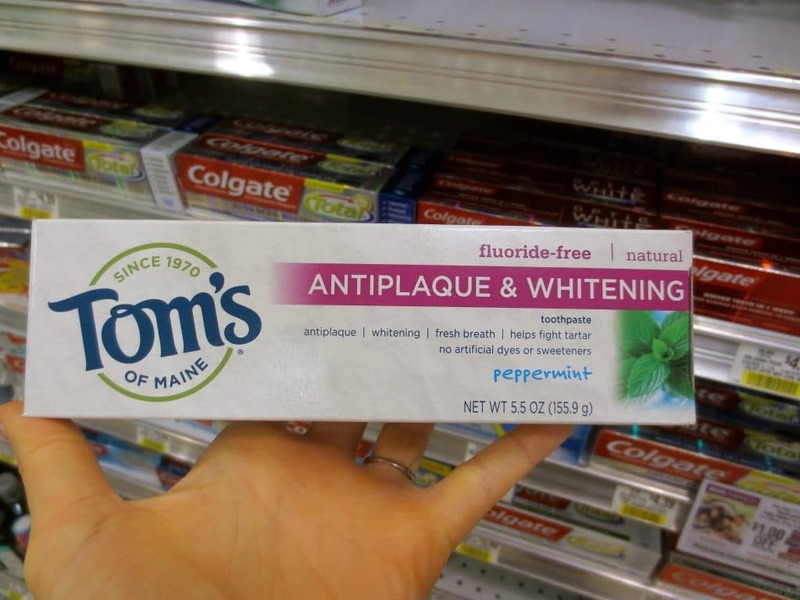 A few months ago, I stopped using regular toothpaste and deodorant. I made my own to use in the meantime but I have been waiting for Tom’s to go on sale. 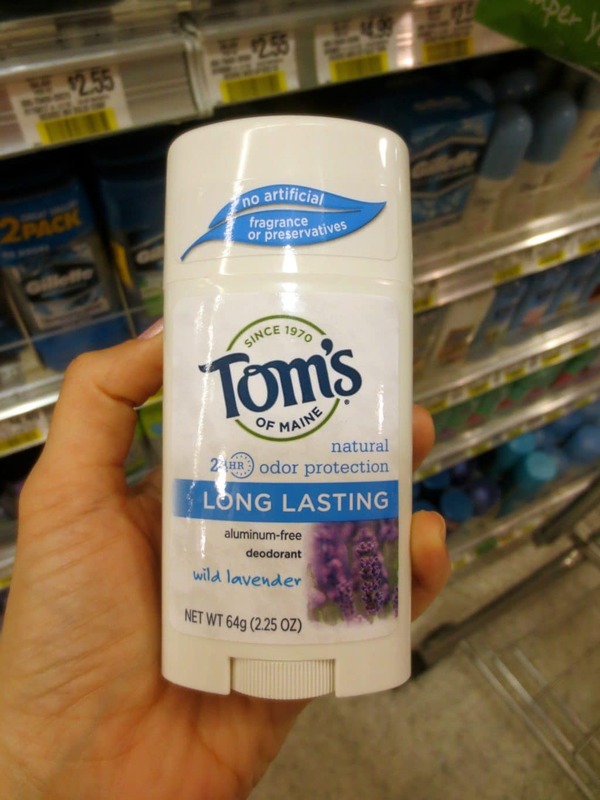 Tom’s products are so expensive at my local health food store and I really couldn’t afford it. It finally went on sale this week at Publix, 2/$7. Plus, I had $1/1 target coupon to use on each. So, I thought $2.50 was well worth it. I used both today when I got home from the store, so far so good! 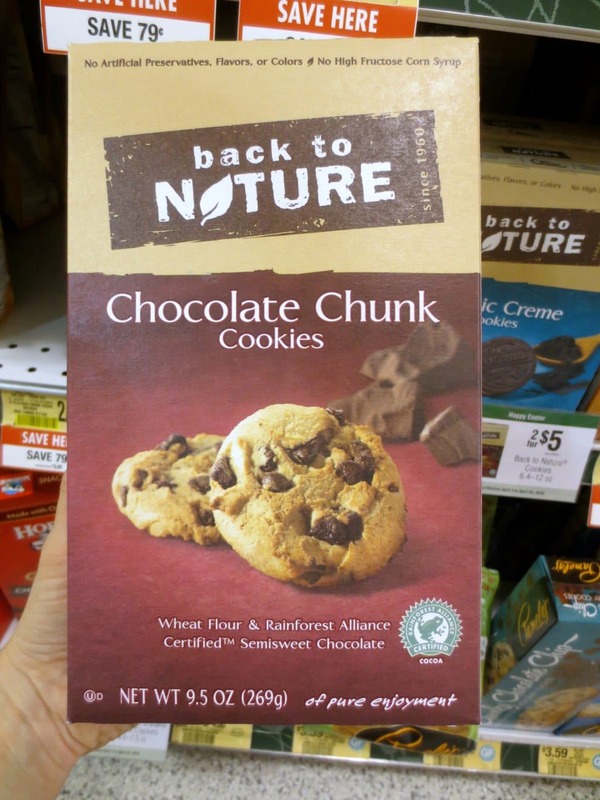 Back to Nature has so many good snacks. I actually haven’t tried the chocolate chip cookies yet but they didn’t have my favorite cinnamon sweet potato crackers or mint fudge cookies in stock today. Good ingredients and I can pronounce all of them! Plus, I wait for them to go on sale 2/$5 and use $1/1 coupon. $1.50 for a treat is well worth it! I always wait for ALL to go on sale, then I stock up, big time. I think I have 15-20 of them in the garage right now. It’s $5.99, normally but if you wait for it to go BOGO and stack a $1/1 coupon with it, you can’t beat $2 a bottle! I get the one that doesn’t have any dyes, scents or extra chemicals in it. Hot dogs aren’t my favorite food but my fiance loves them. So, I try to make them a few times a year for him. 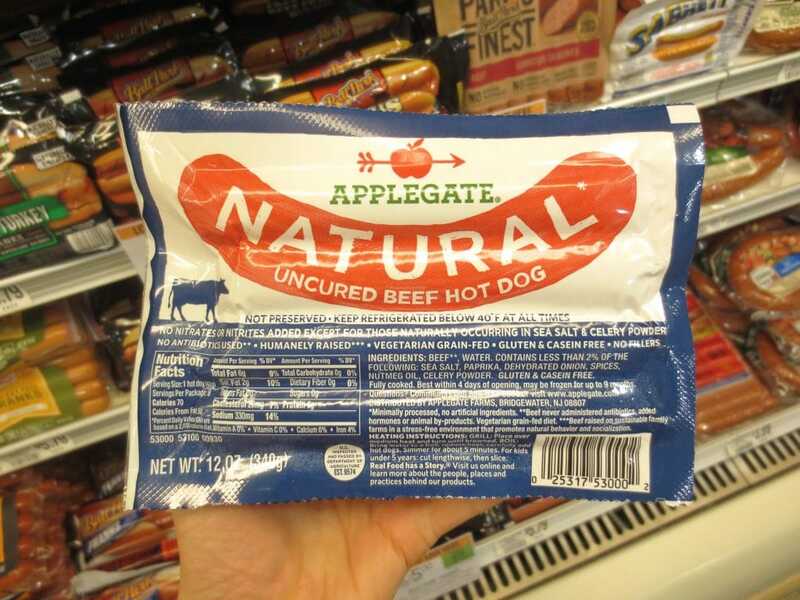 I absolutely refuse to buy the hotdogs that are pumped full of nitrates to make them last longer. I found this brand last year and I’m very happy with them. They are expensive full price. I wait until they go on sale, $3.99 – $4.99 and I can usually find a coupon to stack with the sale. Last time, I signed up for their email club and I also found a tear pad at Whole Foods. 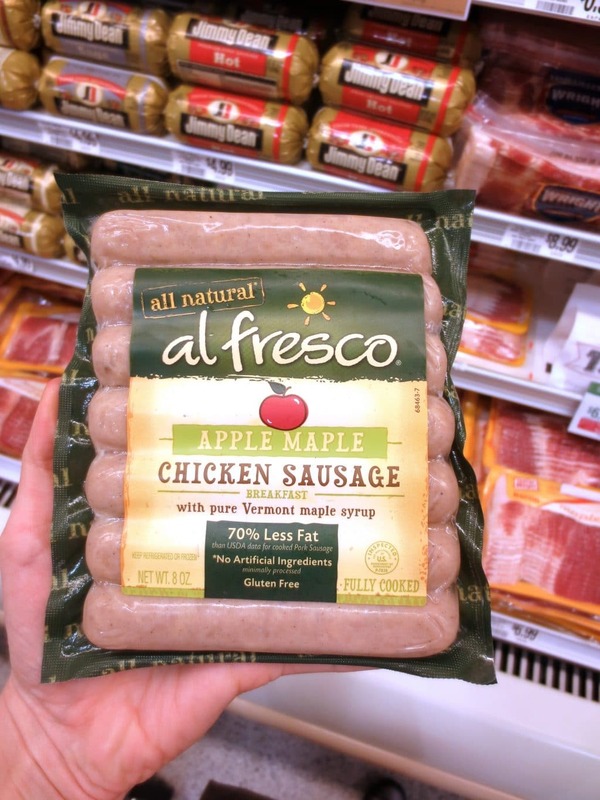 I will happily pay $3 for a pack of healthy hot dogs that I can stretch into 2 dinners. Deal. Oh, they also freeze well, in case you were wondering. If it were up to me, we’d both be vegetarians. My fiance refuses to cut out meat, so I have to come up with meals that I can customize. I use these sausages mostly for soups or pasta dishes because I can add as much as he wants to his bowl and none in mine. He loves them. I like that they don’t have any artificial ingredients added, that’s a biggie. These also freeze very well. I wait until they go BOGO, $3.75 for the small links and $5.45 for the large ones. I’ve had trouble in the past finding coupons for these but even without the coupons, the BOGO price is a good deal. This granola is crunchy and sweet but not sugary sweet like some. I really like this brand too, they have good quality frozen veggies if your in a pinch. 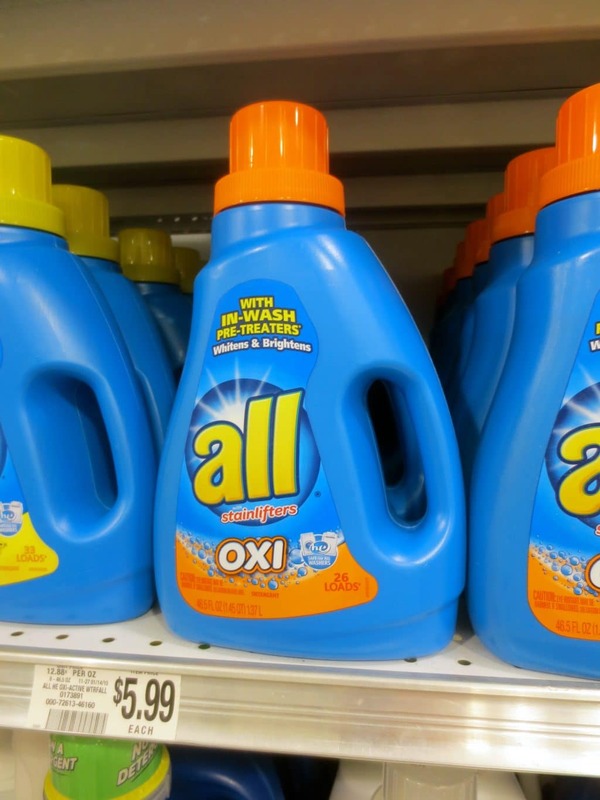 I have found better prices at bulk stores but if your desperate, then I recommend it. I put the granola on my yogurt or I eat it plain. I wait for it to go on sale, usually 2/$5 and they almost always have a coupon available. 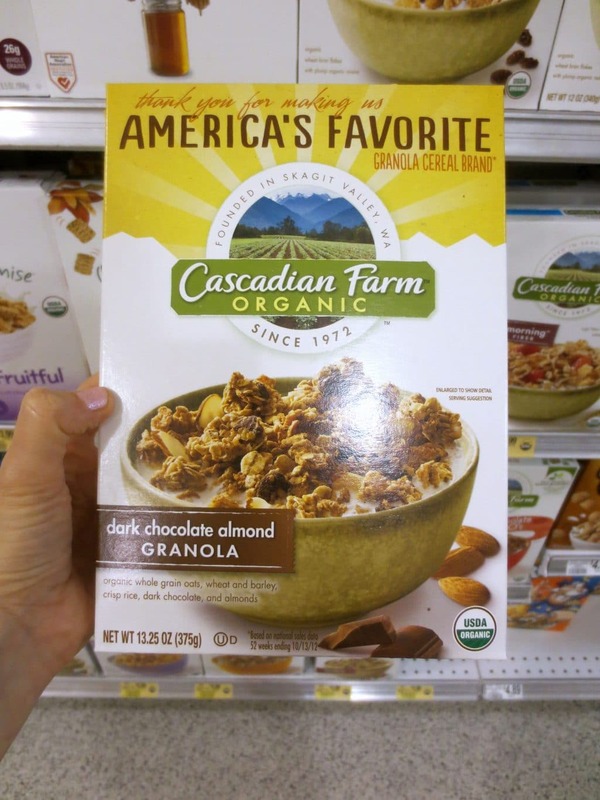 Under $2 is a great price for a big box of organic granola. Make sure you check the amount of sugar, some of the flavors are pretty high. This is my last, quick, frozen dinner idea, promise! I really hate when you make something and it looks nothing like the picture. 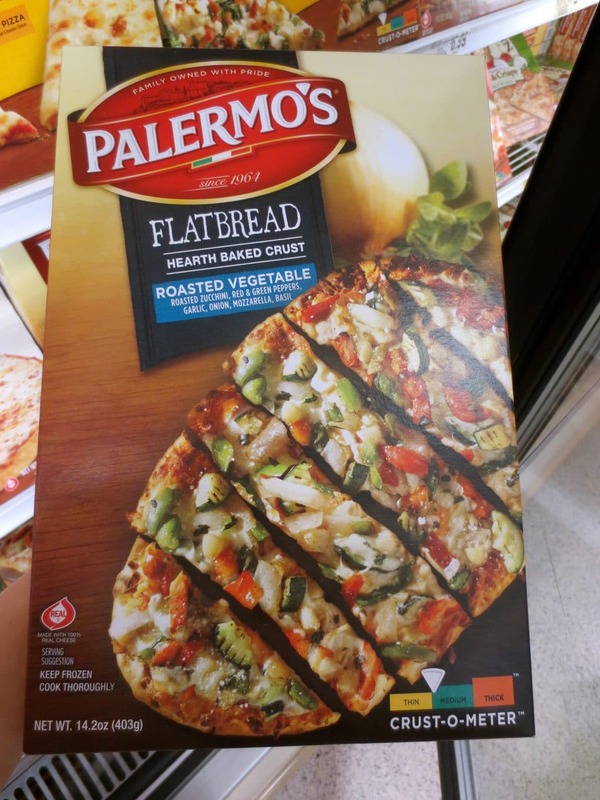 This pizza looks exactly like the picture! It’s loaded with veggies! It tastes like real pizza and has a nice crispy crust. It isn’t paper thin either, its a good sized portion. My fiance can eat one by himself though. Unfortunately, these are ridiculously expensive at regular price, I wait until they are BOGO, $6.99 and I have $1/1 coupon to stack with the sale. I can definitely justify $2.50 for pizza for my fiance when I’m trying to be good and eat light one night. I have to admit, when this goes on sale, I go a little crazy. Let me explain. Toilet paper doesn’t go bad! So, who says I can’t buy 20 of them and stash them in my stockpile?? We will use it all eventually and I hate the thought of running out of TP or having to pay full price. 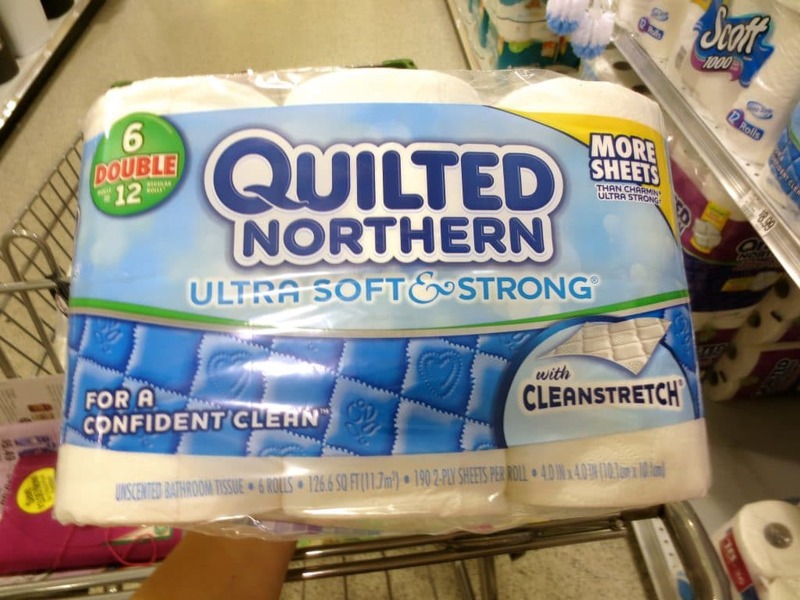 Wait for Quilted Northern to go on sale $4.99 BOGO, but don’t buy unless you have coupons to stack with the sale price. Sometimes I have $1/1 to use but last time I only had $.45/1 to use. Its still a good deal. Whatever you do, don’t buy the purple Quilted Northern, you will regret it! Buy the blue pack! 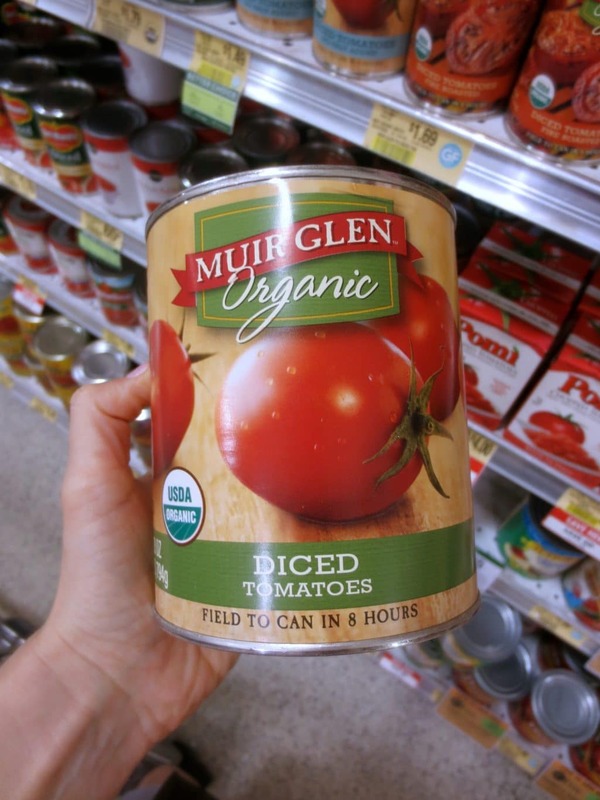 I have only seen organic stock go BOGO sale at Publix one time! I’m glad I bought 10 during that sale but I’ve long since ran out and had to pay full price at my local health food store. Ouch. So, the lesson of the story is, if you ever see organic stock on sale, BUY IT ALL. Just kidding, buy enough to last a few months at least. You can use it for so many recipes! Oh, and make sure you get low sodium and check the box for the latest date. Disclaimer: I have not been paid by any of these companies to endorse their products. This is my personal opinion of each product. I use all of these on a daily basis in my own home. I hope you like them too.